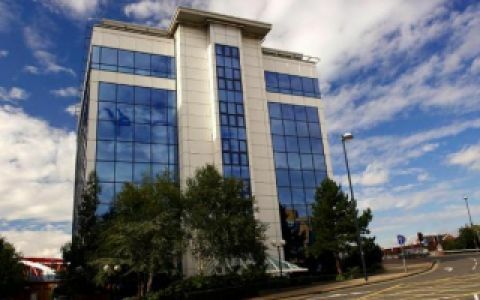 The Manchester serviced offices hold from 2 to 100 workstations. Totally unbranded serviced office space with Ample car parking. Our Manchester serviced offices are some of the greenest serviced offices in the UK. Amenities include: Fully DDA Compliant Offices, Air Conditioning, 24/7 Access, Breakout Areas and Shower and Changing Areas. The serviced office in Manchester has fantastic local transport links including a dedicated Metrolink Stop. The Serviced Offices also have a Gym, Post Office, Cafes and Restaurants and a Tesco Metro within Walking Distance. Trafford Park 1.42 miles, 2.28 km.